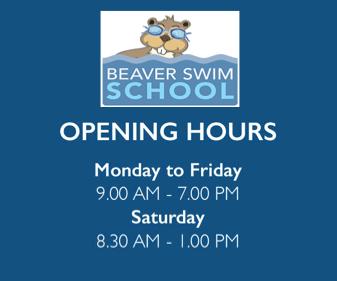 At Beaver Swim school we guarantee that you will receive the best customer service possible. You will find all our staff very approachable and willing to help with anything that you are unsure about. 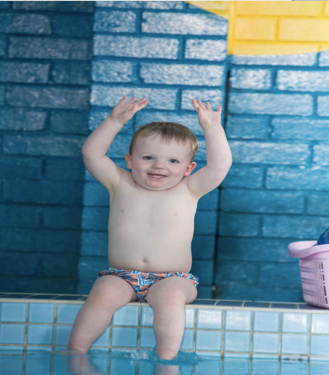 Our aim is to make your experience (both parent and child) at Beaver Swim School an enjoyable one. The pool atmosphere is extremely warm. For the comfort of parents (and grandparents) watching from the side we suggest wearing a light T-shirt under winter woollies. This will allow the removal of outer clothing if you find it too warm. Tea and coffee is provided for your enjoyment while you watch your child during their lesson. We aim to provide the cleanest, safest water for your children. Our powerful filtration system together with constant monitoring by our staff and Aqua Science consultants, ensures that our water is of the highest quality, with a constant temperature of 32 degrees. A major feature of our Swim School is to ensure that children and parents are made aware of water safety. The objective of this is to prevent drowning or injuries to children as we so often hear in the media. As a result we now incorporate Survival Week as a special part of our program, which focuses on survival swimming and rescue activities. Formal testing is conducted twice a year for children aged 3 years and over. We have developed our own certificate system that incorporates the RLSSA Swim and Survive awards, enabling compatibility of achievement standards with most school programs.